Floortom had the most liked content! I don’t think this is that bad. It gives us a good chance to advance past group stage. And it means that our QF match will not be against mexico giving us a much better chance to get to semis. Where are the matches played? Hard for me to say whether I would prefer US vs Costa Rica vs Honduras (obviously not Mexico) in the absence of that information. Is there a home and away or just an away or just one match at “neutral site”? Really bizarre....Kaye seems to be at LB?! Great opportunity if true for Cornelius. Not much CB depth at all in Vancouver. He's pretty much out of his squad now, so a potential starting role in MLS should be a huge motivator for him. 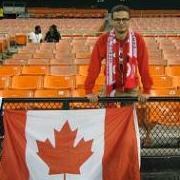 Why isn't there a Canada/USA rivalry in men's soccer? The most obvious reason we don’t play them often in official matches is that we don’t qualify for the hex nor do we advance far enough in the Gold Cup. i.e. we just haven’t been anywhere near good enough to cultivate a rivalry with them.